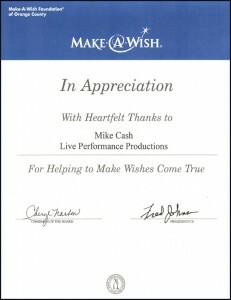 In 1986 Mike and Rosie Cash started Live-Performance Video Productions and opened for business in the Huntington Beach Mall. Over the next five years we produced tens of thousands of music videos for customers both young and old. 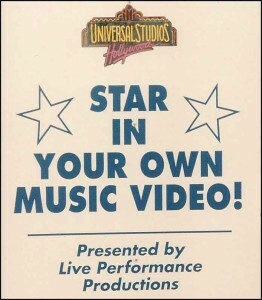 In 1988, parents from Fountain Valley high school asked us to set-up a music video studio at their Grad Night celebration. Of course, our answer was “Absolutely”. 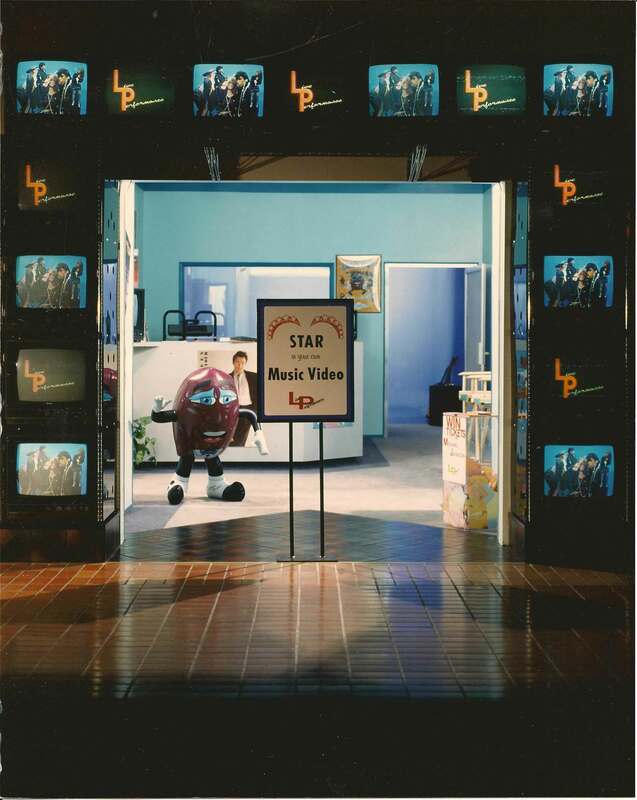 This was the moment when our mobile Star In Your Own Music Video service was born. 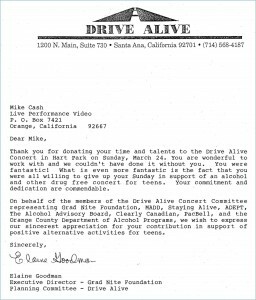 As of 2012, we have been invited to provide our services to 24 years of Fountain Valley High School Sober Grad Night celebrations. In 1991 We moved into our current location in Orange and began the expansion of our mobile studio growth. 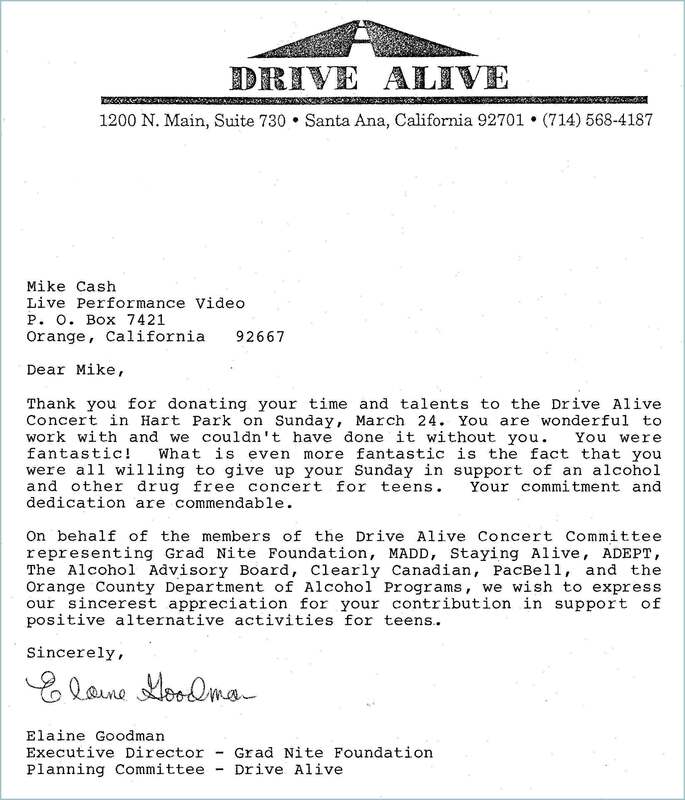 Annually, our Star In Your Own Music Video services participate in approximately 100 Sober Grad Night events throughout the Western United States. 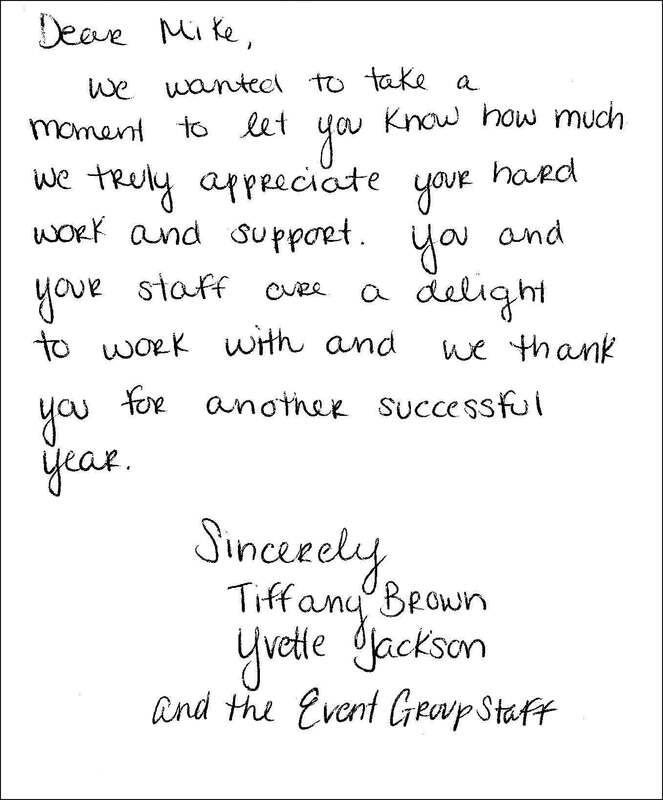 While May and June are kept extremely busy with Grad Nights, the balance of the year you will find us at events ranging from holiday parties, proms, home comings, sales meetings, conventions, school events, company picnics, community events, mitzvahs and family celebrations. 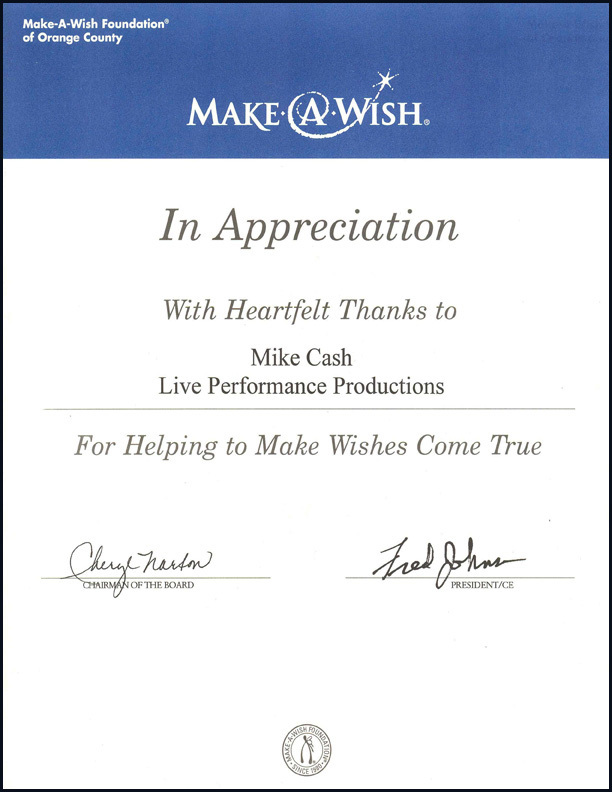 Live-Performance is a founding vendor member and Mike is a former member of the board of directors of the GRADS organization, a non-profit organization which promoted and facilitated the growth of Sober Grad Night celebrations. 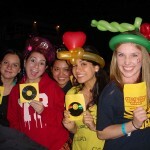 When GRADS ceased operations after seeing the development of thousands of new Sober Grad Nights, Project Graduations and Sober Post Prom events, Mike acquired their content and materials to develop a free How-To-Do a Sober Grad Night website, GradNight.org. Advertisers support the site and the content is free to any user. 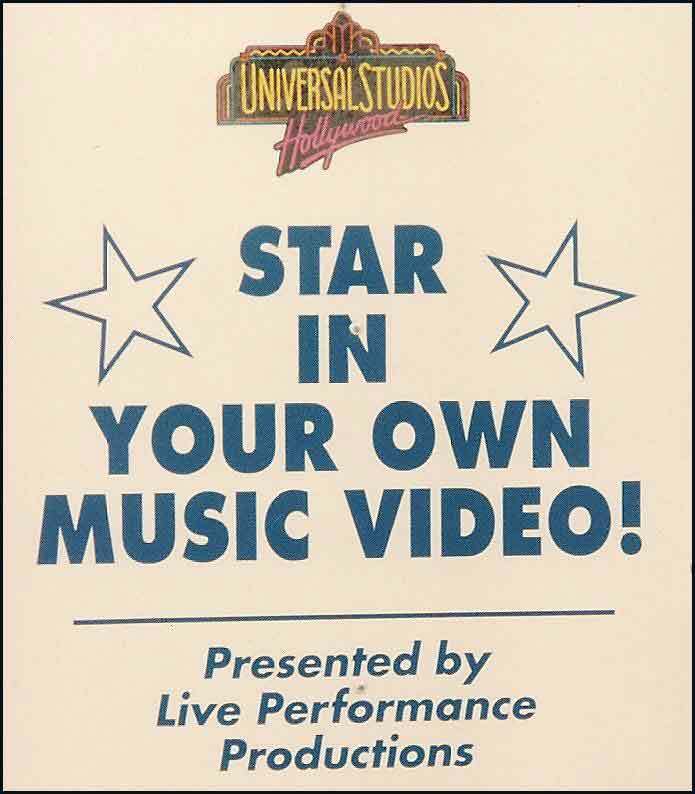 Our Star In Your Own Music Video service has been an event favorite for over a quarter of a century. 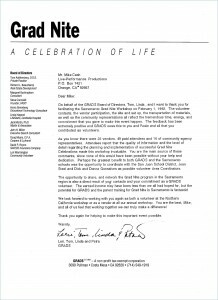 Our longevity is a testament to great customer service and our ability to keep our services fresh, professional, appealing and fun. As technology has advanced and evolved, so have the Live-Performance Productions’ systems advanced and evolved. 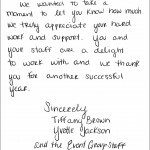 While our systems continue to be improved, our dedication to customer service has always remained a primary reason for thriving at varying events and in all economies. 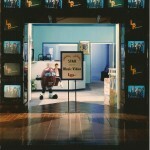 In the early days, we recorded our music videos on VHS tape. We would bring hundreds of tapes and sleeves as well as a bank of VCRs. 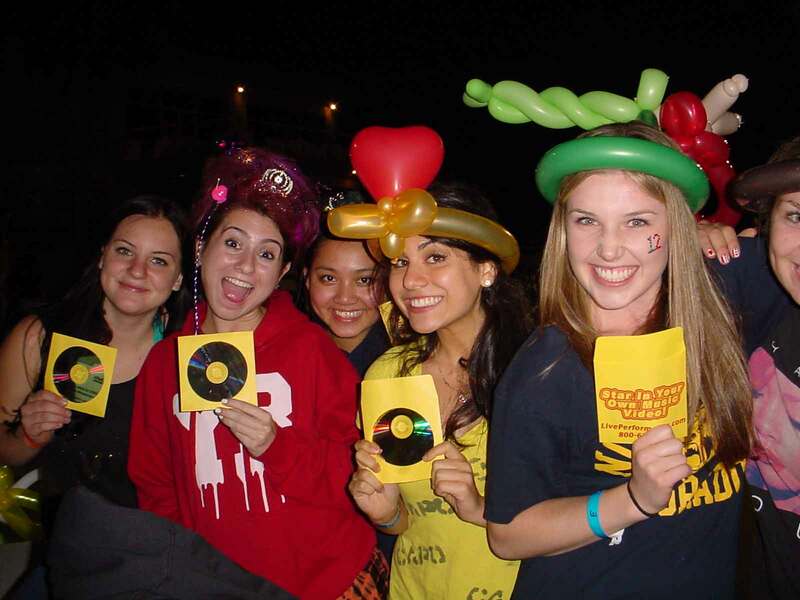 Each participant received their very own videotape of their performance. 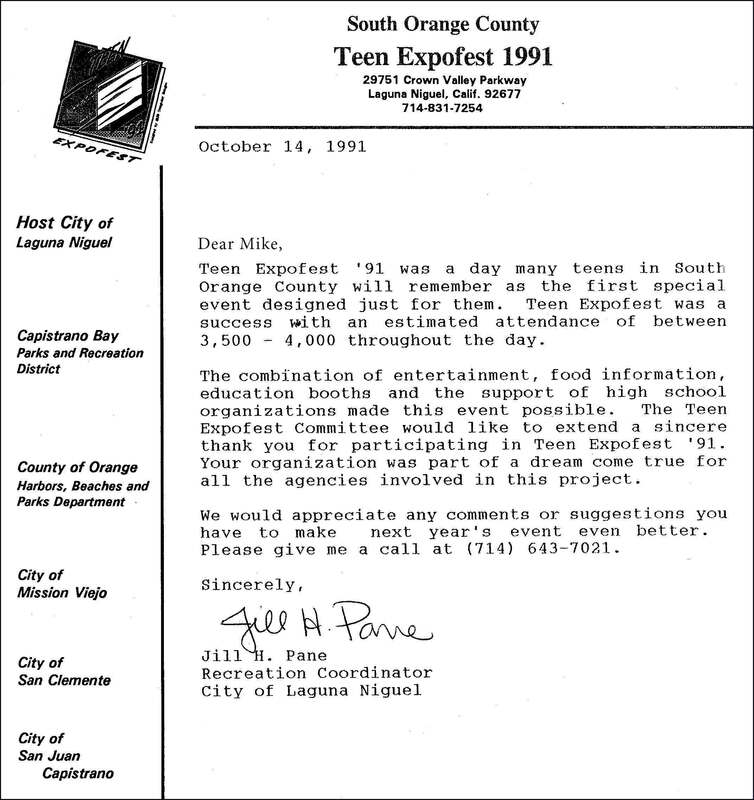 Event guests were always amazed at “How Fast” the tapes were ready. When DVDs became the new media of choice, we were presented with a new set of problems. The main obstacle was speed. DVDs took longer to burn and finalize, which would slow down production. Over an eighteen month period we experimented with countless combinations of discs and recorders, until we developed the fastest, most reliable DVD recording system available. 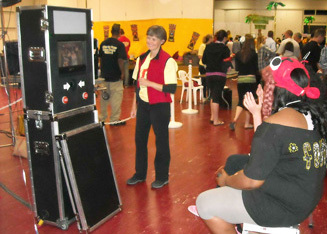 Again, participants were amazed that we could produce up to six DVDs in as little as 8 seconds, total time after the end of the video. In 2012 we started Free Uploading of music videos to our secure server, so that event attendees could download and share them with family and friends and load them to their social media sites. Also in 2012, we are many, many months into developing the next generation of recorded media, Flash Drives or Thumb Drives. We plan to rollout real time flash drive recording by the beginning of 2013. The speed looks comparable to, if not slightly faster than, our current eight second time. Keep an eye open for announcements in the near future. 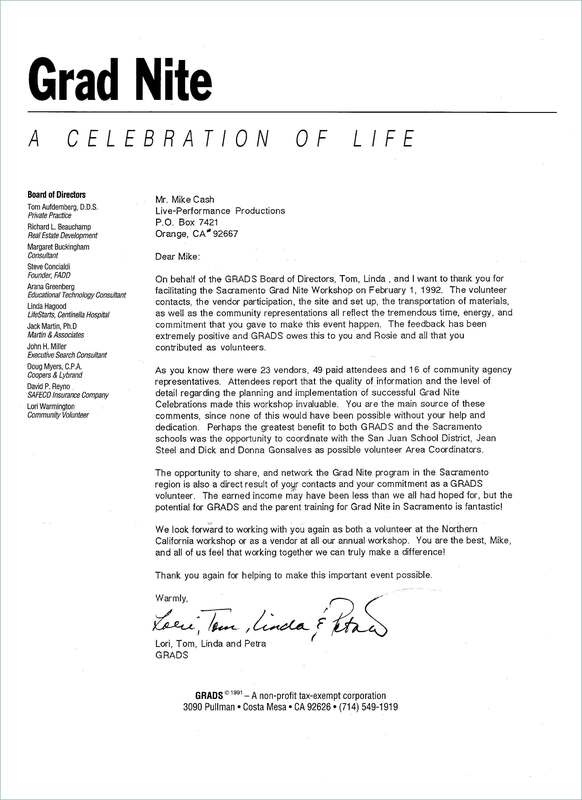 Since 2005 Live-Performance Productions has been a Sponsor of the California Association of Directors of Activities (CADA) and their sister organization the California Association of Student Leaders (CASL). These organizations’ mission is to promote and support leadership development and student activities. On the New Products and Service side, we now offer the Live-Performance Open Air Photo Booth, which may be booked in conjunction with our Star In Your Own Music Video service or on it’s own. 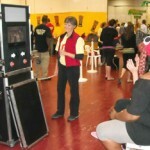 This great new service is a wonderful addition to any event and also personifies our company motto of Interactive, Entertainment, Keepsake.